In the University of Manchester, engineers are operating the world’s largest supercomputer built along the lines of the human brain. 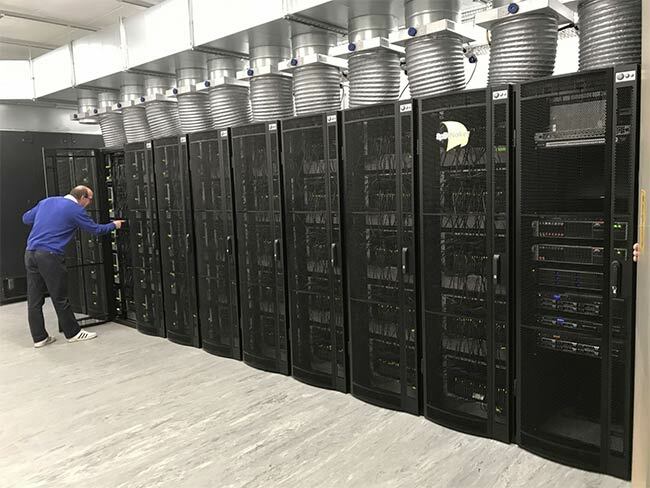 Forget your quad-core rigs, or octa-core phones, the ‘Spiking Neural Network Architecture’ or ‘SpiNNaker’ at the University of Manchester has a million cores. This machine can model more biological machines in real time, than any other device on the planet. Most conventional computers that we see around us, including our mobile phones and desktops, are built using a combination of transistors and logic gates. Together, these allow computers to perform calculations. These traditional designs are good for processing algorithms. However, when it comes to processing images in real time, or complex tasks such as understanding the emotions conveyed by a sentence, you need a lot of computing power. An emerging form of computing architecture tries to mimic the structure of biological brains. Neuromorphic chips hold a lot of promise when it comes to processing large amounts of data at once, occupy less space, and they have a lower energy footprint as well. Potential applications of neuromorphic chips include robotics, AI, IoT and supercomputers. The traditional von Neumann architecture works by relaying information back and forth between the central processing unit and the memory chips. Instead, the data is churned simultaneously, by sending little bits of information to a vast number of cores. The process involves simulating the spikes of electrochemical activity in the neurons and synapses of a biological brain. There are 1,036,800 ARM9 cores distributed throughout the machine, which are connected by a custom fabric. The ARM9 cores have been selected for their power efficiency, which is the biggest cost in computing. The tradeoff was lower performance. 7 terabytes of RAM are distributed throughout the system, and each packet carries only 40 or 72 bits of information. The result is a system that can simulate over a billion neurons in real time. The novel architecture of the SpiNNaker is meant for a massive amount of parallel processing. Essentially, the machine works more like a human brain than a traditional computer. Despite being the most powerful neuromorphic computer in the world, the SpiNNaker is nowhere close to matching the sheer computing power of the human brain. The 1 billion neurons that it simulates is just 1 per cent of the number of neurons in the human brain. There are 100 billion neurons in your skull, and it would take a hundred million core processor to simulate the entire human brain. For comparison, a snail has about 10,000 neurons, while a myna has one billion neurons. SpiNNaker was conceptualised over 20 years ago and took almost 10 years to build. The effort is being supported by the Human Brain Project, which has the mandate to advance neuroscience, medicine and computing. The main objectives of SpiNNaker are aligned with the objectives of the Human Brain Project. One of the main goals is to simulate experiments to better understand the human brain by running simulations on the SpiNNaker. The machine can simulate a billion simple neurons or millions of neurons with complex internal dynamics. These can be used to simulate complex structures within biological brains, such as the cerebral cortex. When there are not enough computing resources to model the entire substructures of the human brain, SpiNNaker can be used to study bits and pieces. For example, the engineers can use 80,000 neurons to simulate a portion of the cortex that processes information based on the sense organs. Another model simulates the Basal Ganglia, an area of the brain affected by Parkinson’s disease. The supercomputer can play a role in future medical breakthroughs and pharmaceutical testing. The large-scale real-time simulations required for these use cases just cannot be run on conventional supercomputers. Robotics, AI algorithms and traditional computing are some other applications of SpiNNaker. The supercomputer is being available to the research community. The way this works is that researchers grab a time slot, and schedule “jobs”, which are experiments or simulations that will be run on the machine. Previously, SpiNNaker had been available to the research community with a capacity of 518,400 cores. The supercomputer is used by researchers from many countries around the world.